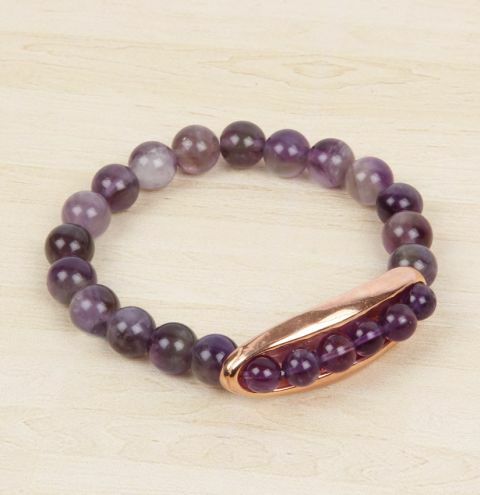 Make a simple stretch bracelet to showcase your amethyst beads using the NEW gondola connector! Take a 50cm length of elastic and string on 19 beads. Thread the elastic through the bottom hole of the connector and string on 6 beads to sit inside the gondola. Bring the elastic through the bottom hole at the other end of the connector. Tie the two ends of the elastic together with a surgeon knot. You may wish to apply a drop of glue to the knot for extra security.